Winter is on its way. With dipping temperatures and less sunlight, your home will get cooler and cooler and it’ll be time to turn on the furnace before you know it. But if your furnace isn’t ready to go for winter, you could be left out in the cold. In this blog, the Howell HVAC team at All Air will show you signs that your furnace needs to be repaired. Once you know the signs of furnace trouble or failure, you’ll be able to root out small problems before they become more costly and complex ones. Water is pooling around your furnace. Your furnace can only leak gas or water—and you’ll certainly smell it if it’s gas. While a gas leak is a dangerous situation, a water leak isn’t as dire—but it can still prevent you from having a warm and comfortable home. A water leak is usually a sign of a clogged condensate line—a problem for a professional that requires equal parts plumbing and HVAC experience. Uh oh. If you smell a hint of gas, shut down your furnace at once, then open up your furnace and turn off the gas supply valve. This can’t wait—call an emergency HVAC team as soon as possible, and don’t light any matches,candles or cigarettes in your home. You hear thumping, buzzing, or banging. You know what your furnace sounds like on a normal day. A little bit of furnace hum will probably feel like white noise to you—but a louder banging, hissing, buzzing, thumping, or thwacking is a sign of problems with your furnace system. There are tons of reasons why your furnace could be making strange noises—call the professionals, and let them give your furnace an expert diagnosis. You’re not getting any warm air. What’s the point of having a furnace if it’s not spitting any warm air? If you feel like your warm airflow is getting weaker month over month, call the professionals and have them take a look under the hood. Your utility bill is rising. 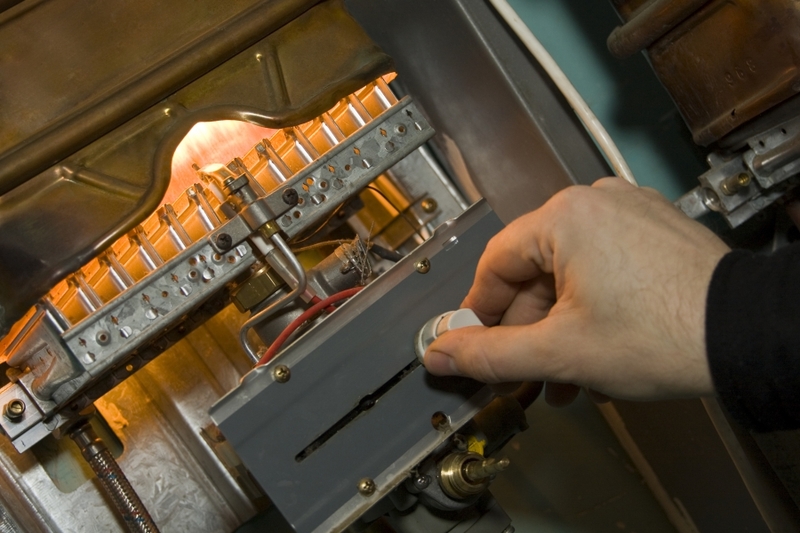 If your utility bill gets more and more expensive every winter, and you feel like you’re not blasting your hot air any harder than normal, there’s a very good chance your furnace needs repairs. When your furnace isn’t working properly, it has to work harder to produce warm air, leading you to turn up the heat and spike your energy bill. Spend a little money on repairs, and avoid paying a premium to your utility company. You haven’t had your furnace serviced lately. Your furnace needs to be serviced at least once per year in order to remain in solid shape—so if it’s been at least a few years since the pros have checked out your system, you’re at risk for having expensive breakdowns and a lack of warm air when you need it the most. Fortunately, that where’s All Air can help. With routine maintenance of your furnace in the fall, we can make sure your furnace will keep humming (the good kind of humming) all winter long. Don’t wait—schedule an appointment with us today!